You might be my favorite one of all..."
After 2 years of starting late, it's time to get back on schedule. The 15th year of the Rule 20-6 Golf Pool will crank up on February 1 in Phoenix at the Waste Management Phoenix Open. Everything is pretty much the same as recent years, $170 entry for the whole year, purses (per player) the same, Spring Season, Summer Season, Year-Long, "TMC's"... it's all in the Rules of Play on the website. I made a couple of changes to the Rules for situations that will probably never happen, other than that they are the same. It's still good for everyone to review those at the beginning of the year. The Spring Season schedule will be a bit different from last year, mainly because we are starting earlier. As mentioned we will start out in Phoenix, a tournament we haven't played since 2010. After a week off we go to L.A., then the very next week to South Florida for the Honda. A week off then over to Tampa for the Valspar, then the next week in Orlando for The Arnie. We get two weeks off before and one week off after the Masters; then to San Antonio for the Texas Open. A week off then we finish the Spring Season with the Wells Fargo and The Players in back-to-back weeks. The Summer Season will be the same tournaments as last year. We will get two weeks off after The Players before starting the Summer at The Memorial. A week off then the U.S. Open at Shinnecock Hills in New York. An off week will precede The National, formerly the Quicken Loans National, somewhere around D.C. We'll go straight from there to WVa for the Greenbrier. We get a week break before going across the Atlantic to Carnoustie for The British Open. 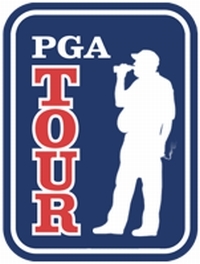 Off one week before back-to-back in our only WGC event of the year in Akron and The PGA Championship at Bellerive in St. Louis. A final off week then we finish with the first two Playoff events in consecutive weeks in New Jersey and Boston. We'll be done in the first week of September. The 2018 website is up and running. Not much, if anything, has changed from last year. Be sure to update your browser bookmark so you are on the "rule20-6.com/pool18" pages. Typing in or editing your bookmark to just "rule20-6.com" will always take you to the most recent site. There are a few pages that still need updated, but the schedule is up and the entry system is working. I would recommend submitting a test team WELL BEFORE the entry deadline to make sure your personal page/entry page is working. Just click the "Last Team Submitted" tab on your page and then click submit. That will keep the typing to a minimum for the test. If anyone finds any problems on the website, please let me know. If you know anyone that would like to join us this year have them contact me and I'll get them set up. Conversely, if you are not going to be playing this year let me know and I'll take you out of this whole system. By rule everyone is suppose to let me know if you are playing this year. Submitting an entry (like the test entry suggested above) is good enough. This is going to be a hell of a year for golf pooling. D.J. seems to be back in form and if he can avoid falling down any stairs will be a tough pick to pass up. Fowler, Rahm, Spieth when he's making putts, are all playing well in the T.O.C. Thomas will find it... and then there's all the foreigners and non-winners who haven't played yet in 2018. And "what's his name" is suppose to be coming back, again. Oh yea, the golf pooling will be good, and it all starts in about 24 days.